SAMARA F. SWANSTON has been engaged in the practice of Environmental Law for more than twenty years. She attended St. John’s University School of Law, served a two-year clerkship in the New York Court of Appeals, was environmental counsel to the Town of Babylon, worked on environmental matters for the County of Suffolk, drafted Article 57 of the New York Environmental Conservation Law, worked for the U.S. Environmental Protection Agency as a Superfund attorney, led the creation of the Region 2 Environmental Justice Workgroup, helped draft the 1992 EPA Environmental Equity Report and was awarded the EPA Gold Medal, the highest agency honor, worked as a manager for the Superfund program of New York Department of Environmental Conservation where she was the only attorney of color working as a manager in an environmental agency in the State of New York. 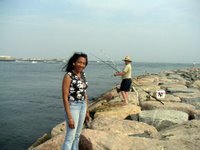 She currently serves as an Adminstrative Law Judge with the New York City Environmental Control Board, as Executive Director and General Counsel of The Watchperson Project of Greenpoint-Williamsburg, a non-governmental environmental advocacy organization and as state chair of the Sierra Club Environmental Justice Committee. Ms. Swanston has successfully litigated environmental cases and is also a Visiting Professor with the Pratt Institute Graduate School for Urban Planning and the Environment. 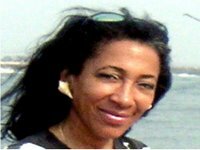 She has written numerous law review articles and reports on Environmental Justice and has been extensively cited. Black Environmentalist: What Is That? And Why?